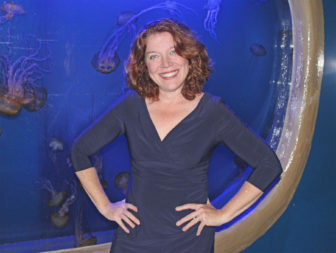 After only three months on the job, the Maritime Aquarium’s new chief executive officer, Maureen Hanley, was fired, the organization announced on Monday. The newspaper reported that Dave Sigworth, a spokesman for the aquarium, would not even say why the announcement of Hanley’s termination was delayed until Monday, when the newspaper asked about it. Between the time that past aquarium President Brian Davis left the job and Hanley’s hiring, the CEO duties were shared between a group of people who will now do the same thing again: Dave Truedson, chief operating officer; John Joyce, the aquarium’s chief financial officer; and the aquarium’s Board of Trustees. No timetable has been worked out on hiring a new president, the announcement said. Before the aquarium job, Hanley was a senior vice president-team leader of United Bank for the past four years; she made her career as a community-banking executive who specialized in commercial lending. She also had extensive experience serving on boards of various area organizations. The Maritime Aquarium at Norwalk has relieved Maureen Hanley as president and chief executive officer. Because this is a matter of Aquarium personnel, more details will not be made public. Day-to-day duties of the president have been assumed by Dave Truedson, chief operating officer, and John Joyce, the Aquarium’s chief financial officer, with oversight by the Aquarium’s Board of Trustees. This is the process the Aquarium operated in for six months between the departure of Dr. Brian Davis in May 2018 and Hanley’s arrival in November. Leadership will remain focused on animal care, environmental education and marine conservation. No timetable or process has been started to select a new president, who will be the ninth in the Aquarium’s 31-year history.